Wait no more for the transition to genomic medicine as we look towards the future of health care. It’s here, and it’s changing the way doctors care for everything from cancer to diabetes and Alzheimer’s disease. But the reality is that most physicians report insufficient knowledge to maximize the benefits of these powerful new tools on behalf of their patients. 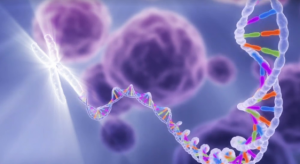 Mayo Clinic is changing that with the Individualizing Medicine Conference series, the world’s largest meeting geared towards helping providers of all stripes discover and discuss the latest tools in individualized medicine. The goal is to cultivate new skills in providers, pharmacists and researchers so that they take those techniques back to their practices and help improve care for patients around the world. Individualizing Medicine 2014: From Promise to Practice is scheduled for October 6-8 with optional workshops and sessions before and after the conference. Presentations will cover a wide range of topics in addition to cancer, including cardiovascular disease, the role of genomics in the pharmacy, insurance and reimbursement issues, the use of deep sequencing for predictive medicine, and more. A complete schedule and list of speakers are available on the conference website. Focused concurrent sessions are also available. Physicians perceived lack of knowledge and time to keep updated as their greatest barriers to incorporating genomic testing and pharmacogenetic testing into practice. 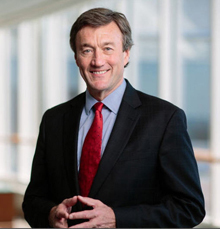 The conference is hosted and organized by the Mayo Clinic Center for Individualized Medicine, home to the Individualized Medicine Clinic, the world’s first integrated, multidisciplinary genomics clinic, serving patients with cancer and diagnostic dilemmas. 1. Selkirk CG, Weissman SM, Anderson A, Hulick PJ. “Physicians’ preparedness for integration of genomic and pharmacogenetic testing into practice within a major healthcare system.” Genet Test Mol Biomarkers. 2013 Mar;17(3):219-25.